Looking for a specific way Laron can help Keep Your Industry In Motion? 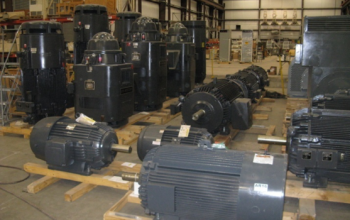 Laron provides Electric Motor and Equipment storage in our 30,000 square foot warehouse. We provide a clean, dry, vibration free environment with a 100 ton lifting capacity so your equipment is protected and ready for service at a moments notice. 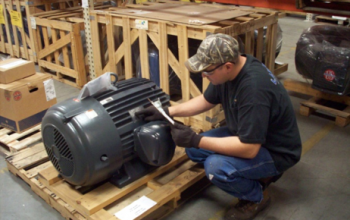 Expand your warehouse space by utilizing ours with peace of mind through our routine checks and maintenance programs. 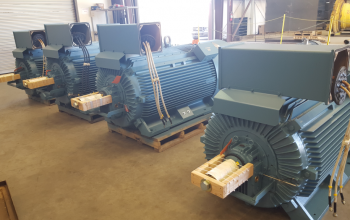 We can also provide alterations to your stored equipment due to demands in production, giving you the ability to have less down time on electric motor or equipment swaps. When you don’t have the space or manpower to keep your spare equipment ready when you need it most, we have a team that will manage your critical assets and deliver them when needed. Guaranteed to be in the condition you need when you need it. Download our line card for a full list of our capabilities. Leading the industry standard in safety, we continually strive to achieve a "Zero Incident Work Environment" through an approach which includes Training, Resources, Auditing and our unique "Whole Person" approach to safety. Our Quality runs deeper than our Nuclear NQA-1 10CFR50 Appendix B, SKF®, Timken®, ASME, and numerous other qualifications, it exists in all our products and services. Our goal is your goal: to keep your Industry In Motion. When things go wrong at the worst possible time, Laron provides the service and repair resources to get your assets back up and running. Whether scheduled or in emergency situations, Laron takes the call and gets it done.